One of the worst feelings in the world is to leave home for a week of relaxation…and an hour later, wonder whether you left the oven on. Scenarios like this can cause unneeded stress and, in the worst case, significant property damage. The Off Door Handle could help prevent both. 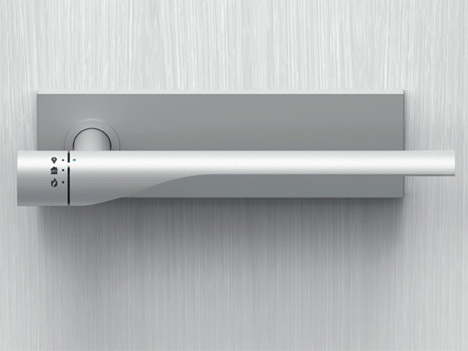 The door handle, created by designers Eun Ah Kim, Jinhyuk Rho, and Maria Rho, was a 2011 Red Dot Design award winner. The door handle is connected to the home’s main power and gas supplies, allowing residents to turn both off and on easily. 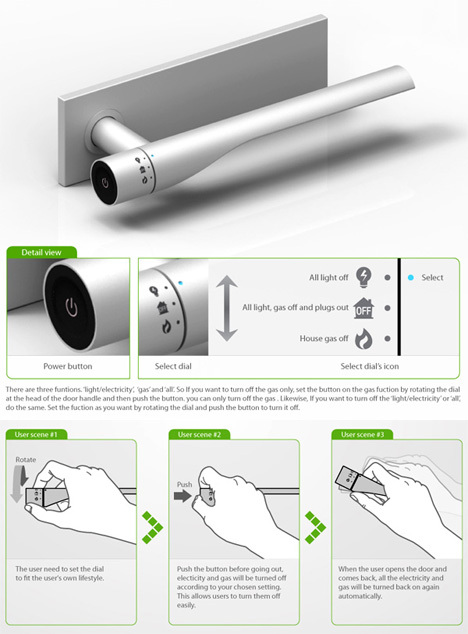 A small dial at the end of the handle lets users choose whether to turn off the electricity, gas, or both upon leaving. After making a selection, the user presses the button on the end of the handle and then simply turns the handle as usual. The selected services are then turned off. 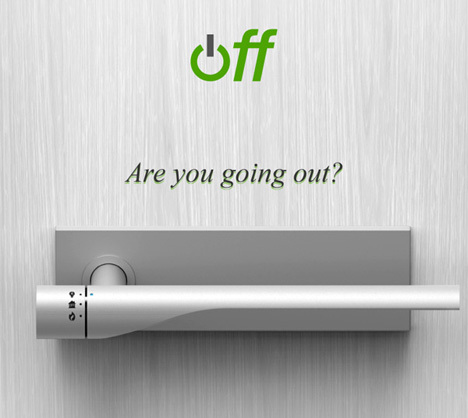 Upon residents’ return to the home, the door handle re-activates the services that were previously turned off. 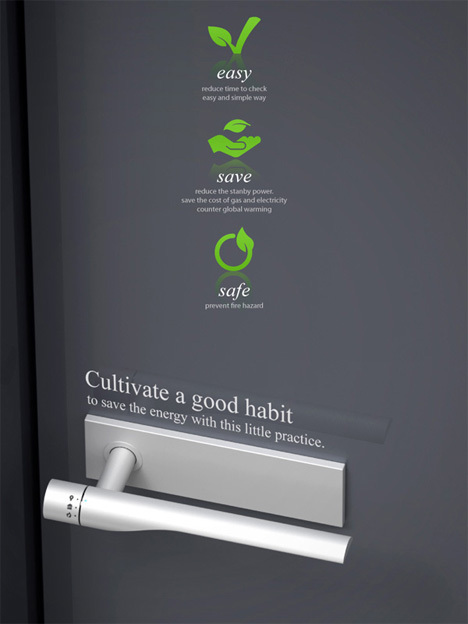 According to the designers, this inventive door handle can help prevent home fires and wasted utilities. But if you are away from home for a long period of time, it would be a good idea to have your home security system powered on a separate system.